My friend Jeff Brown commented today on FB: “Evangelism without discipleship is spiritual abuse… – George Barna.” Jesus calls us to make disciples and not just converts. When we help lead someone to salvation, we need to follow-up with prayer and mentoring as well. SELAH (pause, and think about that). Categories: Selah | Tags: Discipleship, Evangelism, Mentoring, Salvation | Permalink. 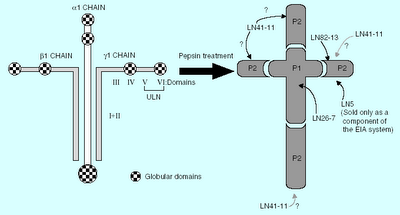 Incredible new scientific evidence of God’s design in the cell adhesion protein molecule “Laminin” that holds everything together in our bodies. How great is our God! Categories: More Evidence of God’s Design, Selah | Tags: Cells, Colossians 1:17, God's Design of Human Body, Laminim, Proteins, Scientific evidence | Permalink. “Let that which you have heard from the beginning abide in you. If what you have heard from the beginning abides in you, you will also continue in the Son [Jesus the Messiah] and in the Father…” (I John 2:24,25). There is still much of Jesus to learn and to experience. There is much growing which must take place. Learning the path of our Messiah is a process. We are hardly ever as far along as we imagine ourselves to be. If we abide continually in the Lord, He becomes our food and our drink, then we will grow. 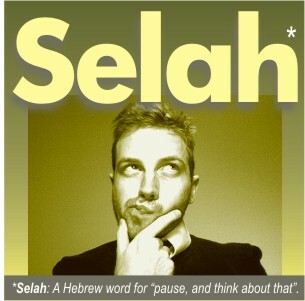 SELAH: A Hebrew word for "pause, and think about that." Categories: Selah | Tags: 1 John 2:24, 25, Abide in Jesus, Experience, Learn, Spiritual Food and Drink., Spiritual growth | Permalink. As followers of Jesus the Messiah we should never be fearful of what others may think or say about us. Some may criticize us, others will admire us. Regardless, let us confess him publicly and confidently, that He is our Savior and Lord. Tell someone today that you are proud to be a Christian, so that they too will come to know the Son of God, the Holy One of Israel. Categories: Selah | Tags: Christian Witness, Confession, Confidence, Matthew 10:32 | Permalink. Jesus the Messiah also commanded us to feed the hungry, give drink to the thirsty and clothe the naked…” Then the King will say to those on his right, ‘Come, you who are blessed by my Father; take your inheritance, the kingdom prepared for you since the creation of the world. For I was hungry and you gave me something to eat, I was thirsty and you gave me something to drink, I was a stranger and you invited me in, I needed clothes and you clothed me, I was sick and you looked after me, I was in prison and you came to visit me.’ “ – Matthew 25:34-36. Categories: Selah | Tags: Care for the needy, Compassion, Hospitality, Kindness, Matthew 25:34-36 | Permalink. On this Day of Atonement (Yom Kippur) let us remember that we believers in Jesus can approach God’s throne (the Holy of Holies) boldly and in confidence, not in fear, because of what Jesus has done for us. He is greater than Moses or Aaron; Jesus is our merciful and faithful High Priest. Receive His forgiveness and grace today. Categories: Selah | Tags: Boldness, Confidence, Day of Atonement, God’s Throne., Grace, Hebrews 4:14-16, Holy of Holies, Jesus, Mercy, Our Great High Priest, Yom Kippur | Permalink.